Trainer axle M12x1 for E-Thru, with metric fine threaded cartridge. Makes bikes suitable for Tacx trainers. 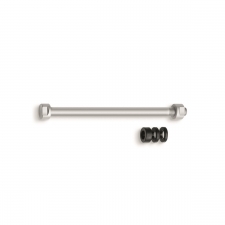 Suitable for hubs with trainer axle attachment 142 x 12mm: various DT Swiss and Shimano types. REplaced the standard trainer axle. 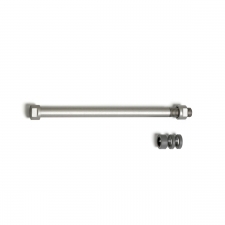 Buy your Tacx Trainer Axle For E-Thru 12 mm Rear Wheels, M12 x 1mm, Fine Thread, Short (T1707) from CannondaleSpares.com.